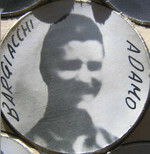 In December of 2008, the Barga newspaper had an article about the many soldiers from Barga who were lost in the Russian campaign in WW II. 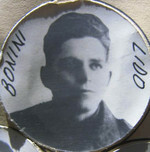 Most were with the Alpini divisions which were sent to Russia to fight in the Caucasus mountains, but the military operations on the Russian front changed during the course of the battle forcing them to the Don River. They were not equipped to fight on the Russian plains against tanks or the harsh Russian winter. Sixty-nine soldiers were killed or lost in the fighting which occurred in January 1943. This is a high number of losses for a town of Barga size (10,000 people). Some of these young men would be relatives of our members. Below is a list of their names and some of their pictures. I have also included several articles from which Wikipedia give some additional background of the fighting (click on the blue words to get more information). In September 1942, the Alpini divisions Cuneense , Julia and Tridentina and other Italian units were sent to the Soviet Union to form the Mountain Corps of the Italian Army in Russia (Armata Italiana in Russia, or ARMIR) and fight alongside the Germans against the Red Army. Taking up positions along the Don river the Italian units covered part of the left flank of the German Sixth Army , which spearheaded the German summer offensive of 1942 into the city of Stalingrad. After the Red Army successfully encircled the German Sixth Army in Stalingrad during Operation Uranus , Soviet attention turned to the Italian and Hungarian units along the Don. On 13 January 1943 the Soviet offensive Operation Little Saturn began and the three Alpini divisions found themselves quickly encircled by the rapidly advancing armoured forces of Soviet General Filipp Golikov's Voronezh Front. On December 16, 1942, Soviet forces launched Operation Little Saturn aimed at the Italian 8th Army. The Soviet plan was to force the River Don , encircle and destroy the Italian 8th Army along the Don, then push towards Rostov on Don and thus cut the line of communication of Army Group A fighting in the Caucasus and the line of communication of 4th Panzer Army , which was in the midst of Operation Wintergewitter —the attempt to relieve 6th Army from encirclement in the city of Stalingrad. 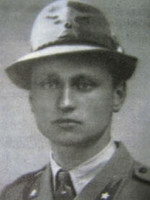 on December 16 General Fyodor Isidorovich Kuznetsov 's 1st Guards Army and General Dmitri Danilovich Lelyushenko's 3rd Guards Army attacked the units of the Italian 8th Army, which were quickly overcome, encircled and crushed—in three days the Soviets had opened a gap in the Axis front 45 km (28 mi) deep and 150 km (93 mi) wide and destroyed two of the Italian Army's Corps (2nd and 35th). The Soviet armored columns now rapidly advanced south towards the Black Sea . Thus 4th Panzer Army was forced to abandon its relief attempt of the 6th Army and fall back to halt the advancing Soviets. The Italian 8th Army's Alpini Corps, consisting of Alpine Divisions 3rd Julia , 2nd Tridentina and 4th Cuneense and the 156th Vicenza Infantry Division to their rear, were at this point largely unaffected by the Soviet offensive on their right flank. But on January 13, 1943, the Soviets launched the second stage of Operation Saturn. In this stage four armies of Soviet General Filipp Golikov 's Voronezh Front attacked, encircled, and destroyed the Hungarian Second Army near Svoboda on the Don to the northwest of the Italians, they attacked and pushed back the remaining units of the German 24th Army Corps on the Alpini left flank and then attacked the Alpini themselves. The Alpini held the front, but within three days the Soviets advanced 200 kilometers (120 mi) to the left and right of the Alpini, who were thus encircled. Although the Alpini corps was ordered to hold the front at all costs, preparations for a general retreat began on January 15. On the evening of January 17, the commanding officer of the corps General Gabriele Nasci finally ordered the full retreat. At this point the Julia and Cuneense divisions were already heavily decimated and only the Tridentina division was still capable of conducting effective combat operations. The 40,000-strong mass of stragglers—Alpini and Italians from other commands, plus various Germans and Hungarians—formed two columns that followed the Tridentina division which, supported by a handful of German armoured vehicles, led the way westwards to the new Axis front. The Soviets had already occupied every village and bitter battles were fought by the soldiers of the Tridentina to clear the way. In fifteen days the soldiers covered 200 km on foot, fought twenty-two battles and spent fourteen nights camped in the middle of the Russian Steppe . Temperatures during the night fell between -30°C (-20-°F) and -40°C (-40°F). On the morning of January 26, the spearheads of the Tridentina reached the little hamlet of Nikolayevka, now part of the village of Livenka . A Soviet division occupied it and the surrounding area. The Alpini immediately began their attack as they knew that this was the last Soviet position blocking their way to safety. But the Soviet forces held their ground, and after hours of fighting the Italian units became desperate as each hour increased the risk that Soviet reinforcements could arrive. 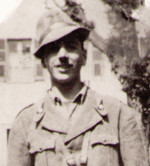 Although the chief-of-staff of the corps, Brigadier General Giulio Martinat , had already been killed earlier that day while leading an assault of the Edolo battalion, General Luigi Reverberi , commander of the Tridentina division, stepped onto one of the last three Panzers as the sun began to set and, yelling "Tridentina Forward", led his men personally on the final assault. As the Alpini advanced, all remaining soldiers of the columns fell in and the Soviets, facing a human wave attack by 40,000 men, relented and abandoned the village. The retreat of the Alpini was no longer contested by Soviet forces and on February 1 the remnants of the Corps reached Axis lines. A tenacious urban legend often heard in Italy quotes an alleged Soviet war bulletin as stating that "the only force that can regard itself as undefeated on Russian soil is the Italian Alpini Corps". Unfortunately, nothing similar to this report ever happened. Regardless of the urban legend, the Alpini did pay a high price in Russia . 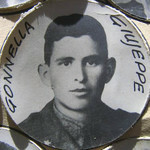 The 4 Alpine Division Cuneense was annihilated. Only about one tenth of the 3 Alpine Division Julia survived (approximately 1200 survivors of 15000 troops deployed) and only about one third of the 2 Alpine Division Tridentina survived (approximately 4250 survivors of 15000 troops deployed). 1st Alpini Regiment out of 5,206 men: 722 survivors; none of the soldiers of the battalions Ceva, Pieve di Teco and Mondovì survived. 2nd Alpini Regiment out of 5,206 men: 208 survivors; none of the soldiers of the battalions Borgo San Dalmazzo and Saluzzo survived. 4th Alpine Artillery Regiment out of 3,897 men: 379 survivors; none of the soldiers of the Artillery Group Mondovì survived. In total 1,607 men of the division's total of 17,460 survived Operation Little Saturn. Overall, about 130,000 Italians had been surrounded by the Soviet offensive. According to Italian sources, about 20,800 soldiers died in the fighting, 64,000 were captured, and 45,000 were able to withdraw. When the surviving Italian troops were eventually evacuated to Italy , the Fascist regime tried to hide them from the populace, so appalling was their appearance after surviving the "Russian Front." Since the beginning of the Italian campaign in Russia , about 30,000 Italians had been killed and another 54,000 would die in captivity . By the end of February 1943, the rout of the ARMIR was complete. Mussolini then withdrew what remained of his 8th Army from Russian soil. The Italian forces in Russia had been reduced to less than 150,000 men, and 34,000 of these were wounded. The disaster in Russia was a fierce blow to the power and popularity of the dictator. Both sank as the gloomy news soon reached the public in Italy . Survivors blamed the Fascist political elite and the army generals. The survivors said they both had acted irresponsibly by sending a poorly prepared, ill-equipped, and inadequately armed military force to the Russian Front. The German commanders were accused of sacrificing the Italian divisions, whose withdrawal was supposedly delayed after the Soviet breakthrough, in order to rescue their own troops. Over 60,000 Italian prisoners of war were taken captive by the Red Army in the Second World War . Almost all were captured during the decisive Soviet "Operation Little Saturn " offensive in December 1942 which annihilated the Italian Army in Russia (Armata Italiana in Russia (ARMIR) . At its height, the ARMIR was about 235,000 strong, and operated between December 1942 and February 1943 in support of the German forces engaged in and around Stalingrad . In this period the total figure of missing Italian soldiers amounted to 84,830 (Italian Ministry of Defence, 1977a 1977b). According to the Soviet archives, 54,400 Italian prisoners of war reached the Soviet prisoner camps alive; 44,315 prisoners died in captivity inside the camps, most of them in the winter of 1943. A list of the soldiers’ names, in Cyrillic , including date and place of death was yielded by the Russian authorities after 1989 (Italian Ministry of Defence, 1996). 10,085 prisoners were repatriated between 1945 and 1954. The individual fate of 30,430 soldiers, who died during the fighting and the withdrawal or after capture, is less well known. It may be roughly estimated that about 20,000 men lost their lives due to the fighting and 10,000 men died between the moment they became prisoners to that of their registration inside the camps. Hence, it may be concluded that at least 54,000 Italian POWs died in Russia, with a mortality rate of 84.5% - very high even if compared with the mortality of Russian POWs captured by the Germans during World War II (1,938,000 survivors from 5,160,000 captured)(Werth, 1964). Suzdal 160 , Tambov , Oranki , Krinovoje , Michurinsk , sited in Eastern European Russia , were the camps where most Italian POWs were detained in dismal conditions. Others were known just by their reference numbers, as Lager 58/c and Lager 171 (Italian Ministry of Defence, 1996). Typhus and starvation related diseases, worsened by the extreme Russian winter climate, were the major causes of mortality inside the camps (Giusti, 2003). Brutality from the Soviet troops and partisans to unarmed prisoners was reported, but survivors testified also to episodes of comradeship among soldiers of the two opposing nations, especially on the front line (Rigoni Stern, 1965) and, compassion from the Russian civilians (Vio, 2004). Italian prisoners of war in the Soviet Union were subject to plenty of propaganda , which was carried out by Communist cadres of their own nationality, who had fled to the Soviet Union due to fascism (known in Italy as fuoriusciti, (“people who left home”)(Zilli, 1950). 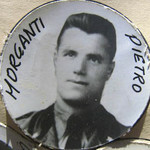 Despite allurements and threats, most of the prisoners, particularly if not previously compromised by fascism , resisted the propaganda (Giusti, 2000). Prisoners' conditions improved greatly with the spring of 1943, because of Soviet Government concern and enhanced camp administration, sharply decreased numbers of surviving soldiers to care for and increased food availability (mainly provided by the US ). 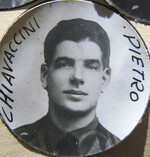 Most of the survivors were allowed to return to Italy in 1945-1946. In the same years, a group of Italian officers under detention were accused of war crimes and sentenced to many years of forced labour . After the death of Stalin the accusations proved to be false and they were released in 1954 (Reginato, 1965). The Italians in the Soviet Union had not acted as occupation troops , and atrocities against partisans and civilians were therefore unlikely. Soviets captured by the Italian Expeditionary Corps in Russia (Corpo di Spedizione Italiano in Russia, CSIR), which operated from from July 1941 to June 1942, were delivered to the Germans and endured cruel treatment by the Nazis. 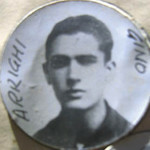 After the establishment of the ARMIR, Soviet prisoners were kept in Italian custody in reasonable conditions. For instance, Russian POWs were fed with standard Italian Army rations (Ricchezza, 1978). 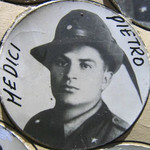 The issue of Italian prisoners of war in the Soviet Union remained a hot political topic in post-war Italy . It was never seriously investigated because of the Soviet authorities’ unwillingness to yield information about the destiny of the tens of thousands of missing soldiers. 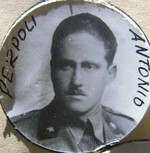 Their case was used in an instrumental way by the centre-right parties which accused the Soviet Union of not returning its prisoners of war (Democrazia Cristiana manifesto, 1948), and denied as anti-communist propaganda by the left (Robotti) during the first democratic elections in Italy (1948). Unbiased information underpinning the size of the tragedy and an objective historical reconstruction came only after the fall of the Soviet Union (Giusti, 2003) when most public interest in Italy had already faded away.